The press and media will tell you all about the talent that Whitney Houston personified and how tragic her passing is to the public and all of her fans. What they won’t share with you is the living, breathing model Whitney Houston exemplified as a person whose tremendous fame, fortune and success completely contradicted how she saw herself. It is this contradiction of images, and not drugs and alcohol, that ended the life of another famous talent. If you and I could have crept into the mind of Whitney Houston we probably would have been astonished and perhaps appalled at the thoughts she was experiencing on a daily basis. She may have ‘had it all.’ The challenge for her was she didn’t ‘feel it all.’ In other words, she did not feel deserving of receiving what fame and fortune can give each of us. The Impostor Syndrome is when our minds tell us thoughts like: ‘Who do you think you are?’ ‘You don’t deserve all of this!’ ‘Eventually everyone will see right through all of this phoniness and they’ll finally see who you really are!’ It is these thoughts that represent one’s core beliefs. Whether loving or hate-filled, these thoughts dictate our responses to life. And when those core beliefs, without awareness of where they came from and why, contradict our life situations, a sort of self-destruct mechanism turns on. Whitney Houston’s self-destruct switch went on many years ago. Perhaps, sadly, no one took her by the hand and guided her to see that she could look within and see that all she thought, believed and felt about herself were just this: a negative story that she had told herself over and over again since she was a child and had convinced herself that it was all true. This was a by-product and end-result of Whitney’s personal, emotional chain of pain. You see, like Whitney Houston, we all tell ourselves some sort of a negative story. In most cases, what we tell ourselves isn’t true. Just look at Whitney. I always saw her as beautiful, immensely talented and full of heart and soul. I just wish she saw herself the same way. That would not mean she was full of herself. It would have meant that she was her own best friend and that she was acknowledging her God-given gifts. On the days since her passing I have contemplated what our fascination is with celebrities, Hollywood and with the entire entertainment industry at-large. In a real sense, famous people like Whitney Houston are like sacrificial lambs. We admire their talent that we each wish we possessed. We admire their courage to stand on stage and be in the limelight. We feel their pain when their life takes a turn for the worse. And why do we do this with people of celebrity status? We do it for two specific reasons. First, through them, we feel some sense of indirect fame, recognition and most of all love for ourselves. It is as if we live vicariously through them without going through the process they had to go through to become successful. The second reason is that most people feel, like Whitney Houston, that they do not deserve to have success and all the bells and whistles that go with it. Instead, we admire someone who achieves what society deems success, witness their downfall, pity them for their tragedy and then we move on to someone else. And, if the celebrities do not have a healthy self-image, we watch the same pattern repeat itself. Like Whitney Houston, Judy Garland was adored and idolized as one of the great singing talents of all time. The one and only problem was that Judy did not feel the same way. After an entire adult life battling with drugs and alcohol her physical body finally gave in, and like Whitney Houston, died in a hotel bathroom at the age of 47. Today, we still remember her as a great talent. I mean, who doesn’t love Dorothy and the Wizard of Oz? Like Judy Garland, Whitney Houston gave us more than just talent. She put her heart and soul into what she had to offer us which is clearly visible in the way she could belt out a tune. The unfortunate aspect of her life, and the lives of so many celebrities remembered or forgotten before her, is she could not put it all in to perspective. She could not separate Whitney the entertainer and Whitney the human being. The human being who only wanted what we all want: to be loved for who we truly are. And above everything else, to be able to give that love to ourselves unconditionally. Like Whitney Houston, we are all on the road of success. The results we receive may not be Grammy Awards, movie deals and concert tours. Yet, in the end we are all the same. We all came here to be of some kind of service to our fellow man and woman. Whitney Houston did just that. I can only hope that on some deep soul level she knew that she did! Previous PostParenting: If I Had a ChildNext PostLove? What’s Love Got To Do With It? This was a great post for me to read. I think one additional point that keeps people in the “Impostor Syndrome” is the feeling that they are alone in feeling that way about themselves or they don’t consciously recognize that they feel that way. For any number of reasons, they won’t or can’t talk to anyone else about these feelings and over time they take their toll. 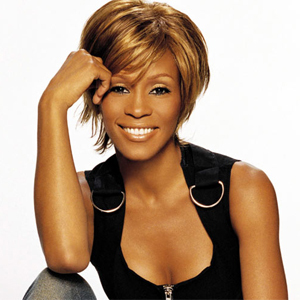 Maybe this post will help someone to seek help and support and avoid a tragic ending like Whitney Houston. Thanks for sharing, Gene. You made some really valuable observations! Most people are not even conscious of suffering from “the Impostor Syndrome.” When someone does not feel good about themselves they find it challenging to take action and create goodness. In other situations, there are people who do not feel good about themselves and become addicted to doing, doing and more doing. No matter how much they do or create, in their minds it is never “good enough.” In both scenarios “The Impostor Syndrome” is present. Our intent is for all our readers to become aware of this condition and to notice if exists within them. The media is only focused on the lurid details of her death and nothing about what she contributed in life. With a God-given singing voice she gave so much pleasure to so many. Let’s not forget her daughter who has lost a mother that she adored. What of Whitney’s “entourage”…was no one able to step forward and try to save her? Perhaps she vehemently refused. If she indeed died of an overdose we need to look at what is going on in our society. More people are now dying from prescription drugs than from so called “recreational drugs” like marijuana, cocaine etc. Unhappiness, emptiness, and anxiety mean big business for the pharmaceutical companies. Americans seem more than willing to seek out a pill for emotional emptiness. Yes there are real physical and physiological conditions that require medication. However no pill can cure being lonely,unfulfilled or angry at your life. Months from now another celebrity will succumb to a similar fate. We will lament and be saddened. But until we address the underlying causes of these tragedies, they will continue. Thank you so much for sharing your thoughts and incites. Awareness is the key and more and more people are becoming aware that integrity or the lack of it in big business (like the Pharmaceutical companies) or anywhere else is no longer tolerated. The only way to assist people like Whitney Houston is to deal with the root cause that caused her so much emotional pain. When we take this kind of approach to human suffering we are more apt to create solutions rather than literally medicating them, living in denial, not dealing with it and dusting them “under the carpet.” Much appreciated feedback!